← Has SoMa become “too good” for poor people? The bounty of blessings that we’re supposed to be getting from the Twitter deal eludes me. MUNI released details yesterday about the special transit service they’ll be providing for the whiz kids at Twitter’s new 10th and Market Street headquarters. The 83X Twitter Shuttle won’t do much to solve SoMa’s transit deficit or encourage many local jobs. The busses will be hauling out-of-town workers from Caltrain to Twitter without any stops in between. It might just take a yacht race to get us some better public transit. 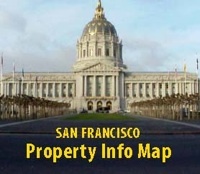 The SFMTA is expecting an estimated 300,000 spectators around the waterfront — equivalent to almost half MUNI’s average workday ridership — when the America’s Cup competition gets under way in September of 2013 and the transit upgrades will have an impact on South of Market. 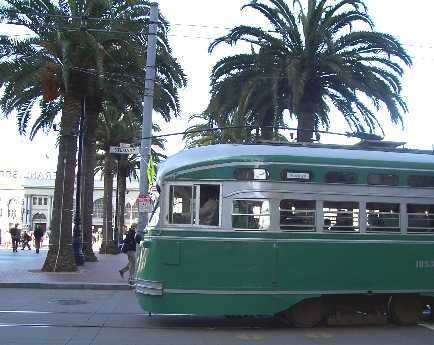 Preliminary events kick off in August and October of this year, which will give MUNI an opportunity to get the bugs out of the new E-Line historic streetcar service running from Caltrain to Fisherman’s Wharf. Other service improvements related to the event include limited-stop service on the 30-Stockton line, which also originates at the Caltrain station, and the introduction of the 47L, which will begin at the Civic Center BART station and continue north on Van Ness Avenue, following the original 47-Van Ness route. MUNI officials hope the limited service will help manage congestion on these already overburdened lines. They are also considering loosening up their boarding policy for Golden Gate Transit busses that run through South of Market. The Transit Effectiveness Project, MUNI’s first major reassessment of bus routes in 30 years, is currently undergoing environmental review. When implemented, it promises to introduce two-way service to Folsom Street by moving the 27-Bryant bus onto the Folsom Street neighborhood commercial corridor and creating a new 11-Downtwon Connector route from 11th Street into the Financial District. With the adoption of the Western SoMa Community Plan, as many as 4,000 new housing units are expected to be built here in the next twenty years. ‘MUNI’s first major reassessment of bus routes in 30 years’. Yikes! Is there any wonder why our great city is so behind when it comes to transportation and efficiency? Simply no excuse for things like this as it ultimately affects our economy and environment. At the end of the day residents have to ask how all of this is going to get paid for? The MTA is planting parking meters all over SOMA in their efforts to cater to the 1% who have plans to “Manhattanize” PDR neighborhoods. Small businesses and working families have been sold out so that the city can give corporate welfare to these dot. Coms who will eventually fizzle out when their advertising dollars dry up. The MTA Board and City Hall puts taxpayers on the hook for all of these grandiose plans to give the impression that they are creating jobs and providing an essential service. “…plans to “Manhattanize” PDR neighborhoods”. Ahhh don’t think so, can’t use the Manhattanization boogeyman in this case. If anything the Big Bucks entertainment industry is dumping their huge DJ clubs into EXISTING residential areas of SOMA which rips these apart for 3 days out of the week. That, my friend is the greatest threat to working families in SOMA.